My understanding: The world won’t end in 2012. This is because a USB 3.0 Host port will provide up to 900mA of power for charging, which is more than the 500mA supplied by USB 2.0. So he’s correct. But transferring data using the current USB 3.0 technology at such high data rates requires more power, which does not fit the profile of mobile devices. “It’s not the failure of USB per se, it’s just that in tablets they are not looking to put the biggest, fastest things inside a tablet,” Ismail said. “Actually, USB 3.0 is more power efficient. It transmits then shuts down. USB 2.0 has a Host transmitting all the time with every device receiving signals all the time. There are some conditions, some secrets to the design at the system level to make sure this happen. Basically, you need to be able to suspend the power to as much of the USB 3.0 elements as possible or shut down the power completely. So Rahman points out USB 3.0 is coming to Tablets and Smart Phones in 2012, and theoretically he’s got some product knowledge as the CTO of the USB-IF. I’m wondering if this is the TI OMAP 5 platform as announced by TI or something else? 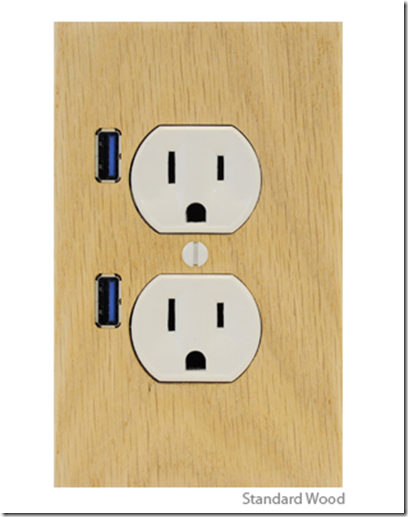 You can install USB outlets at home for a mere $25. Each port provides a full 1mA of charging which is good for charging your iPad or Kindle or Android phone, or BlackBerry or maybe your digital camera or cell phone. 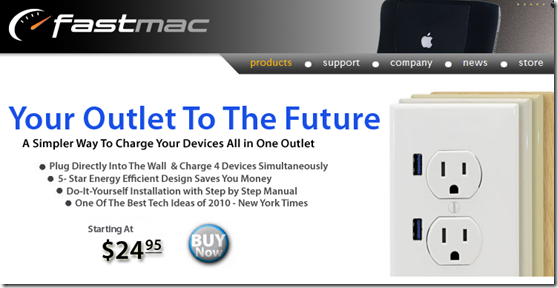 Got to FastMac.com for more info. I know I could use them. I have a picture of a Tray of Donuts. I’m keeping it to myself. This post is filed under Smartphone, SuperSpeed USB, Tablets, USB 3.0, USB 3.0 Adoption, USB 3.0 Products, USB Power.